Former Offaly dual star Seán Ryan has called time on his inter-county career after 13 seasons of service to the Faithful which saw him accumulate 95 competitive appearances between league and championship in both codes. The diminutive Birr clubman debuted for the footballers under Kevin Kilmurray in 2006 when Offaly were plying their trade in Division 1A and featured off the bench against Cork, Mayo, Tyrone, Kerry and Monaghan. Ryan tried both codes the following year with great success and made his senior hurling debut at midfield under John McIntyre in their four-point Qualifier defeat to Tipperary, finishing with an impressive tally of 1-2. 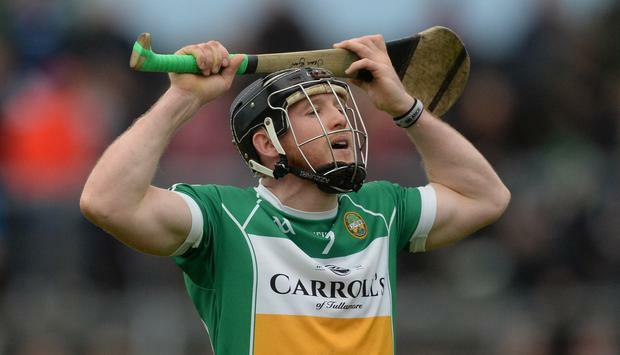 Despite Offaly's fortunes wavering, Ryan stayed loyal to the hurlers for the last six years and was captain in 2017 with his last appearance coming in their disappointing Leinster SHC round-robin defeat to Dublin in June. Johnny McCaffrey came on as a substitute for Dublin that day and the Lucan Sarsfields clubman also hung up his inter-county boots yesterday after skippering the Dubs to historic league (2011) and Leinster (2013) successes. He was a mainstay under Anthony Daly but fell out of favour under Ger Cunningham before finishing out his career under Pat Gilroy. "I would like to thank Pat Gilroy and his management team for the work they did over the last 12 months in getting Dublin back on track," McCaffrey said in his retirement statement. "I was very lucky to have played with some of the best hurlers Dublin has ever produced. I made some great friends, won some silverware and created memories that will last us a lifetime." Derry's footballers have been hit with a big departure ahead of 2019 as the inter-county career of outstanding attacker Mark Lynch has come to the end of the road. While Derry have fallen from grace in recent years and will operate in Division 4, Lynch is adamant that they can bounce back under Damian McErlain. "There are a lot of talented young footballers with bright futures coming through in Derry," the Banagher forward said. "I remember the step up from minor to senior and how it forced me to develop my game. We need to give this latest crop the same space, opportunity and encouragement."